For a truly extraordinary holiday experience, nothing beats glamping in a treehouse. Whether it's waking up in the canopy, sliding back to terra firma on a fireman's pole or listening to the birds as if you're in a nest of your own, this utterly unique form of glamping accommodation offers the most magical of getaways. Ever dreamed of living like Tarzan? Frolicking in the forest like Jane? Well, fairy-tales can become reality with this collection of enchanting tree houses in the UK and Europe. 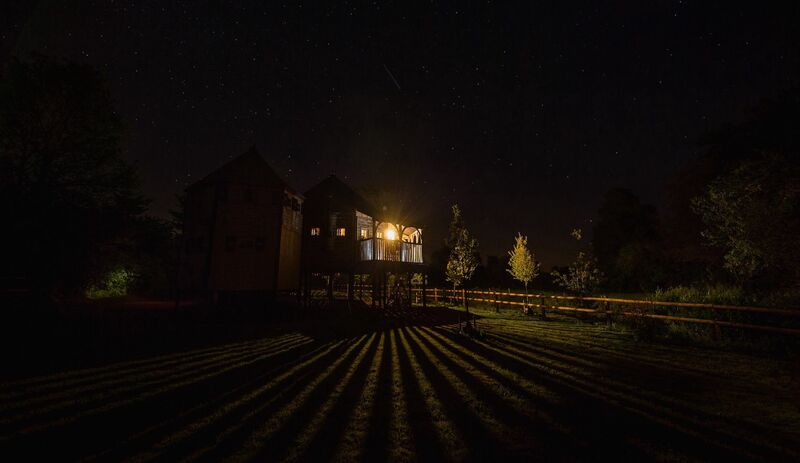 Exciting, intriguing and full of fun, glamping in a treehouse is quite unlike anything you will have experienced before and, if you love a space that fires the imagination, treehouse glamping will be perfect for you. From giant orbs suspended among the branches of redwoods, to woodland cabins on stilts and vast oak dens in the forest, there’s a treehouse for every type of glamper with a range of prices and facilities too. 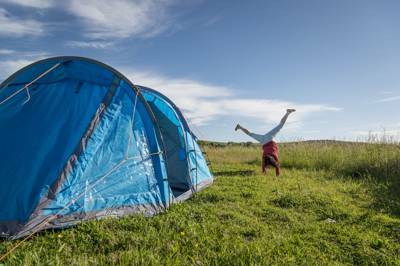 As always, the Cool Camping team have been out on the road (and up in the treetops) to find the very best places to stay. 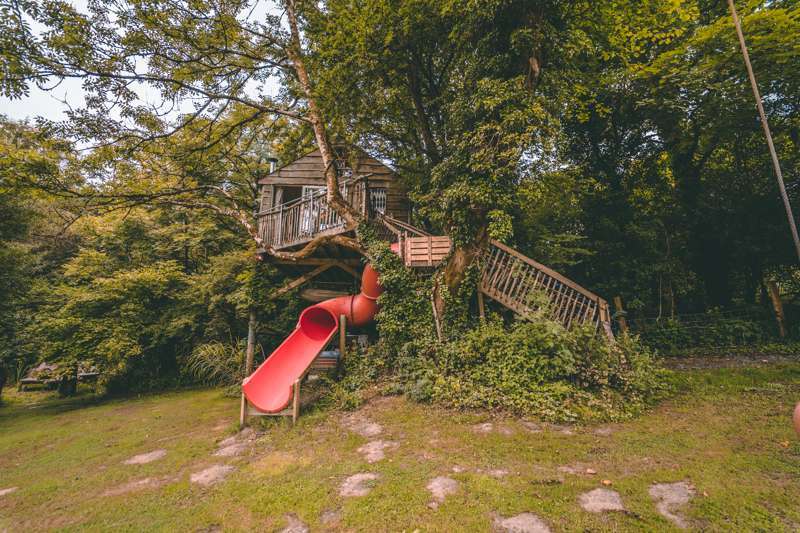 Every treehouse on our list has the Cool Camping stamp of approval, which means you can book your holiday rest assured that you’re not only getting the best price but you’re also bagging a spot at one of the best treehouses around. But nowadays treehouses have gone far beyond their origins as a place for make-believe play for children. We may be grown up here at Cool Camping HQ but we simply adore staying in a treehouse. There are some things you’re never too old for! From a jaunty, fairy-tale treehouse in East Sussex to the château-style dwelling in central Scotland, we’ve found extra special places to kip in canopy all across the UK. Some offer the utmost luxury – outdoor rain showers, gaint bronze bathtubs, rooftop saunas, hot tubs and more – while others allow you to get in among the branches in a more paired-back, simple setting. 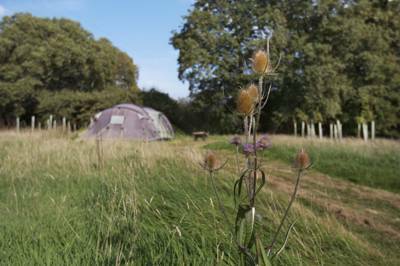 Whether you’re a luxury lover, or just seeking a peaceful retreat in the forest, we’re confident we’ll know somewhere to suit, be it England, Scotland or Wales. Browse some of our options below now and use our filters to refine your search further. 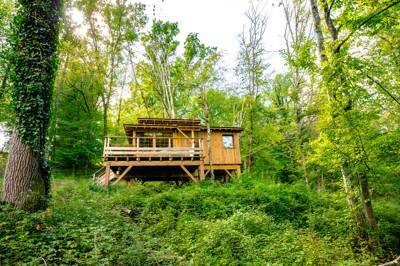 From week-long Forest Escapes on the Atlantic Coast to hidden wonders in the woods of the French Alps, there’s a growing number of treehouses popping up in France and across Western Europe. We’ve been clambering low, but mainly high, to find the best treehouses on the continent and here on the Cool Camping website you can find all of our very favourites. 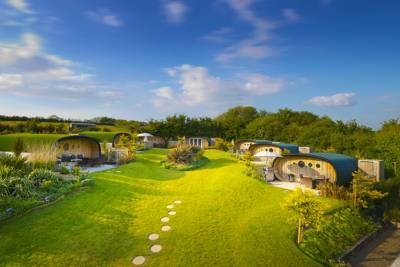 Glamping in France has never been so accessible and with these treetop gems you'll find the perfect inspiration for your next holiday. Browse the greatest getaways now and book your next adventure online today. – Exciting and inspiring, treehouse living is an utterly unique experience. – "What did you get up to on holiday?" 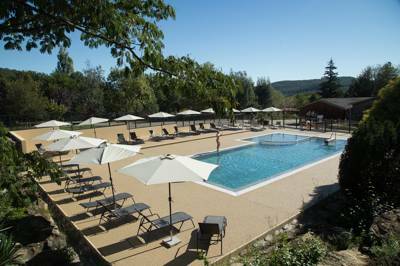 Your stay will be the envy of absolutely everyone! – Tall and proud, treehouses can boast the best views of any glamping accommodation. 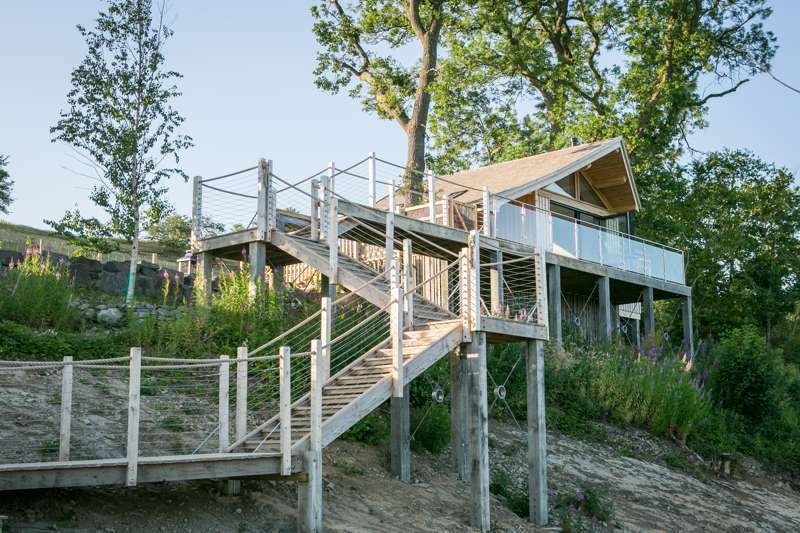 – Bespoke and carefully designed, the craftsmanship in every treehouse is mind-blowing. Nothing 'off the shelf' here. – Luxury, luxury, luxury. This is proper glamping. 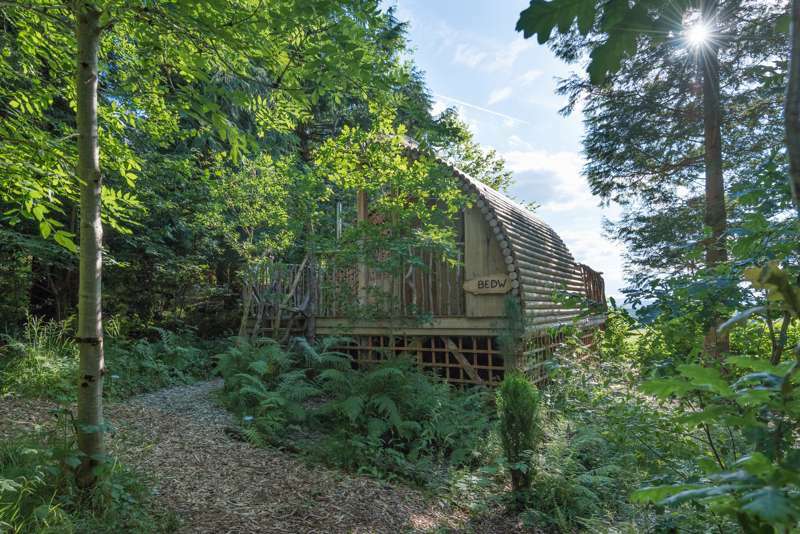 they're imaginative, inspiring and have the best views of any glamping structure out there. Plus, who hasn't always wanted to live in a treehouse ever since they were a child? Combining luxury living with a truly unique outdoor experience, treehouses give you the chance to have a holiday experience quite unlike anything you've ever done before. Above all else, staying in a treehouse is an immense amount of fun. What's not to love about that? glamping holiday tree house treehouse luxury cabin woods forest trees at Tree House Glamping, Get up into the canopy and enjoy life in the trees with this collection of the best tree house glampsites in the UK & Europe, all chosen by the Cool Camping experts and authors of the best-selling Glamping Getaways guidebook.